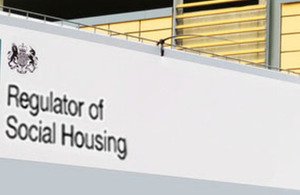 The Regulator of Social Housing reports that Westmoreland Supported Housing Limited has been placed on its Grading under Review list. It notifies that at the time of the last Statistical Data Return the provider had fewer than 1,000 homes and therefore does not have a current published regulatory judgement in accordance with our established procedures. The regulator is currently investigating a matter regarding the providers’ compliance with the Governance and Financial Viability Standard. The outcome of the investigation will be confirmed in a regulatory notice, once completed. The regulator’s GUR list is available on the website. See our Media enquiries page for press office contact details. For general queries, please email enquiries@rsh.gov.uk or call 0300 124 5225.